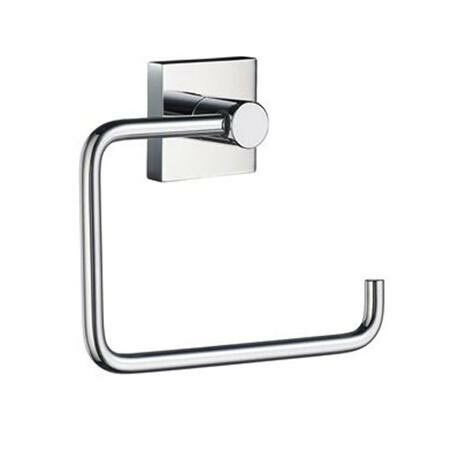 Made from the best quality materials, This toilet roll holder has a polished chrome finish, which looks stunning. Combining an angular mounting plate contrasting to the soft curves of each functional part. The core material is solid brass, finish is polished chrome. All Smedbo products are made of the highest quality solid brass with special blacksmith attention paid to every detail. "Expensive but good quality, looks good."